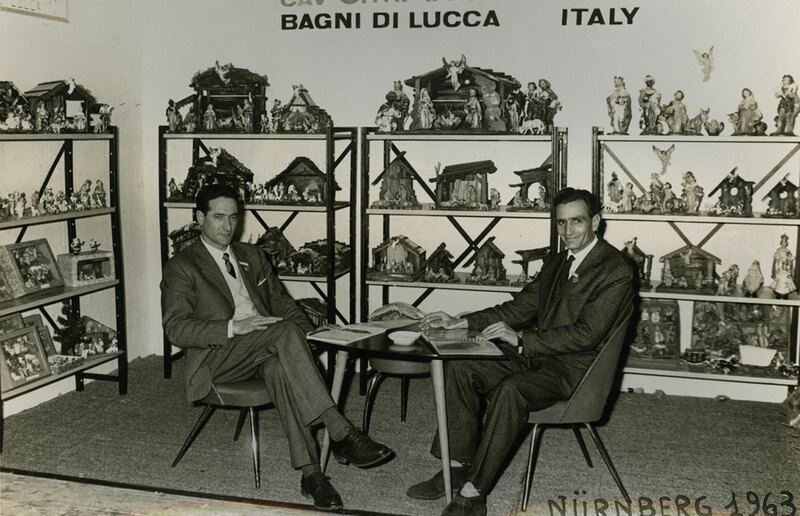 In 1930 Giovacchino Marchi, after having traveled the world to sell plaster figures, founded the company Marchi. After the Second World War, the four sons formed the Cav, G Marchi & Figli company, which specializes in the production of figures of the papier-mâché crib from 3 to 30 cm. The work develops by selling the traditional hand-painted product all over the world. In the 60s the production of the figures of the plastic crib began. Today the company Euromarchi produces figures of the crib in more materials and finishes, mirrors in plastic and polyurethane, religious articles, angels, trying to safeguard the traditional production. To all this were added the accessories needed to make the crib creating a very wide range and recognized as such in the world. Italian art, from sculpture to painting, is considered a world heritage site. It was inspired by our sculptors, Raffaello Simonetti and Leandro Rontanini, who made wax figures of the nativity scene characterizing them with the movements and expressions typical of our culture, reviving them and decorating them with the colors of Italian landscapes. 80 years of experience in the plastic production of statues for the traditional Italian crib. From modeling, finishing, rotational molding method, hand painting, packaging. Currently the company Euromarchi di Bagni di Lucca, is directed by the cousins Marchi, who try to keep alive in the heart of Tuscany the production of the crib, and to preserve the Italian tradition. Euromarchi produces figures of the crib in different materials and with different finishes, produces plastic mirrors, religious articles, keeping the classic Italian tradition. Italian art, from sculpture to painting, is considered a world heritage site. It was inspired by our sculptors, Raffaello Simonetti and Leandro Rontanini, who made the figures of the nativity scene in wax.